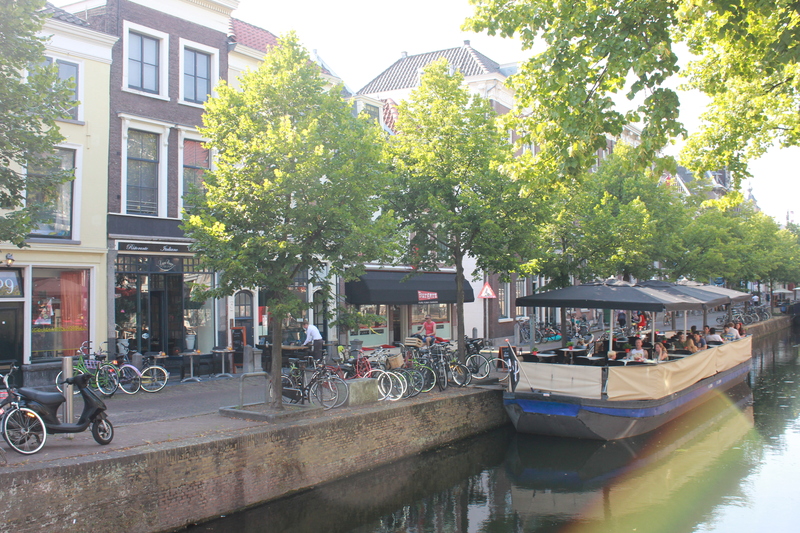 Today I will share another Hotspot with you in the beautiful city of Delft in the Netherlands. This place is a must visit for all the food-lovers and people that appreciate food that is prepared with fresh ingredients. 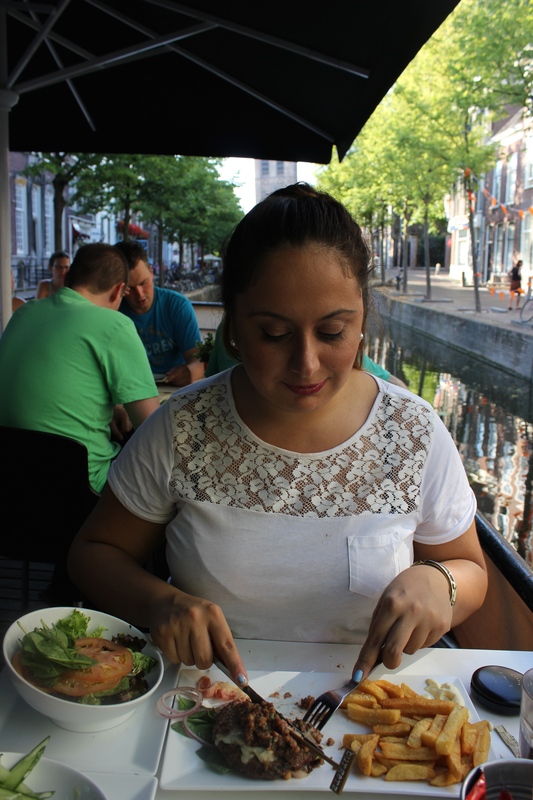 The day I visited it was a nice summery day and I decided to have my meal on their boat in front of the restaurant. This is such a unique possibility because not a lot of restaurants have the option to eat outside on a boat. As you can see at the picture on the left side you will have a gorgeous view of all the surroundings! The boat has a seating possibility of 50 people and you could also host your dinner party here as they are taking reservations for groups starting from 10 people++. In my opinion this is the perfect place for a celebration because the location is great, the food is awesome and the service is good as well. Definitely something worth considering for those bday’s that are coming up! As a starter I ordered the sweet oven potato fries with homemade aioli. The homemade potato fries where seasoned with fresh herbs and the taste was just wonderful. They were a bit crunchy on the outside and really soft on the inside. The aioli was perfectly in balance and went really well with the sweet oven potato’s. If sweet potato’s are not your thing, do not worry. They have a lot of other starters that might fit your taste like nacho’s, fried onion rings with aioli, or some grilled chicken wings with a sauce of your choice. For my main course I chose the Funky Cheese burger and it was a delicious choice. I chose to have my burger without a bun because I have a gluten allergy and I am not allowed to eat bread that contains gluten. They do offer gluten free bread only today, just my lock they were out of stock. However, I did get a nice salad because I could not have bread so this was a great compensation as well. All the burgers on the menu come with a portion of french fries or you can chose the oven baked sweet potato’s, but since I already had these for my starter I went with the french fries. 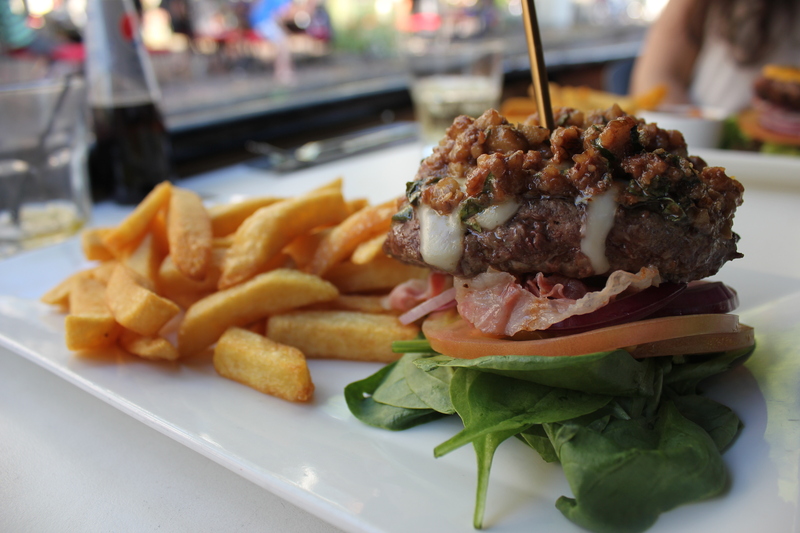 What I specially loved about this specific burger, other than the delicious cheese, was their walnut-honey salsa you can see on the picture below. This salsa is perfectly created to go with this burger and all the different elements and tastes go really well together. Every bite I took was like a mini celebration in my mouth, I never knew that a burger could taste this good ! 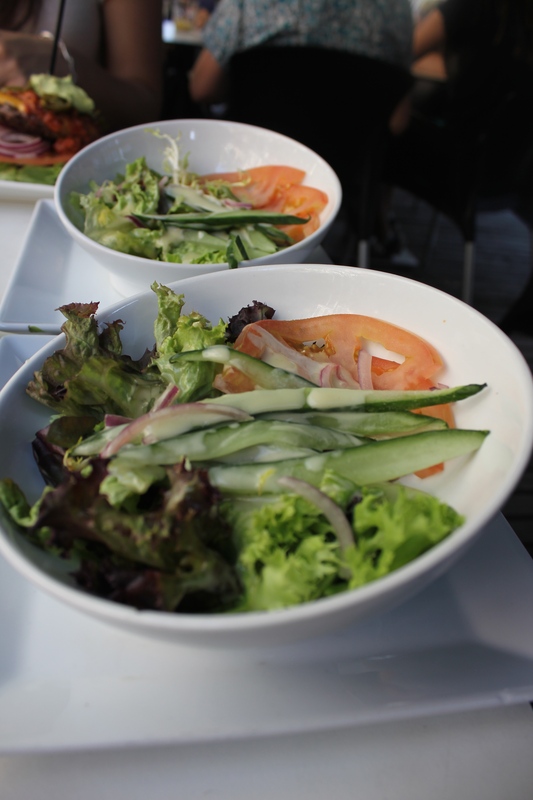 And as you can see in the picture below, the ‘side dish’ salad, to compensate the ‘no bread’ part was huge! They are definitely generous with their ingredients and portions! What I also always like to do is watch what other people are eating to get inspired for my next visit. The lady next to me ordered the Pestorella Burger which came with buffalo mozzarella, tomato, grilled sera no ham and basil pesto and this one looked wonderful as well. Even though I did not taste this one I could smell the pesto from a small distance and it smelled so yummy! It is definitely a freshly made pesto and I can’t way to try this the next time I visit! 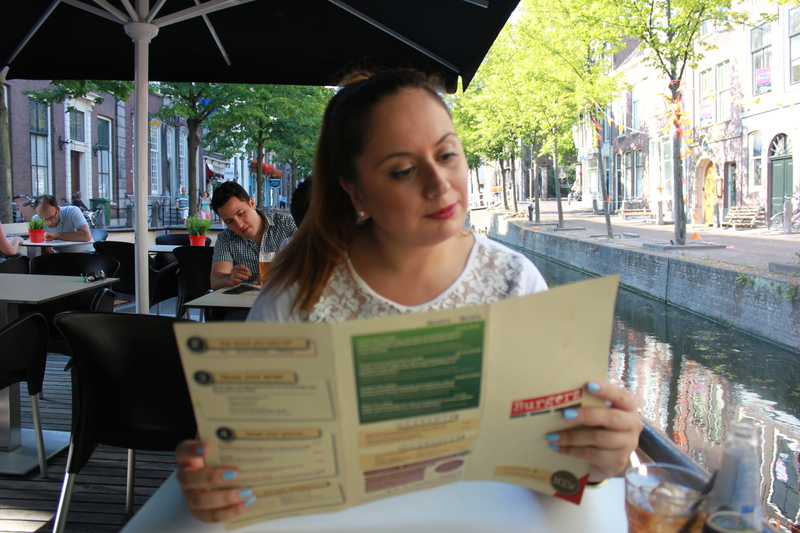 Since their are a lot of yummylicious burgers on this menu I can totally understand that you just want to try them all, like I do and you do not know which one to chose. 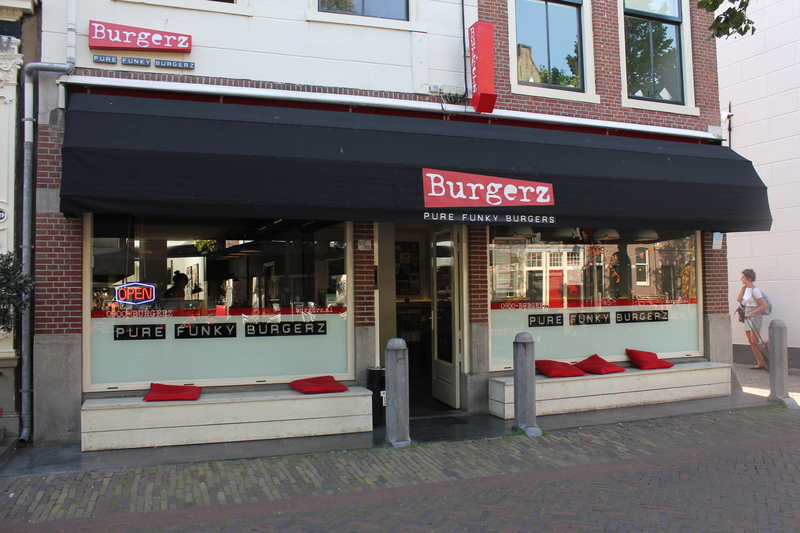 Well, not to worry, the people at Burgerz thought about this too. You can also order 3 ‘mini burgers’, each of 50 gram that are chosen by the chef. 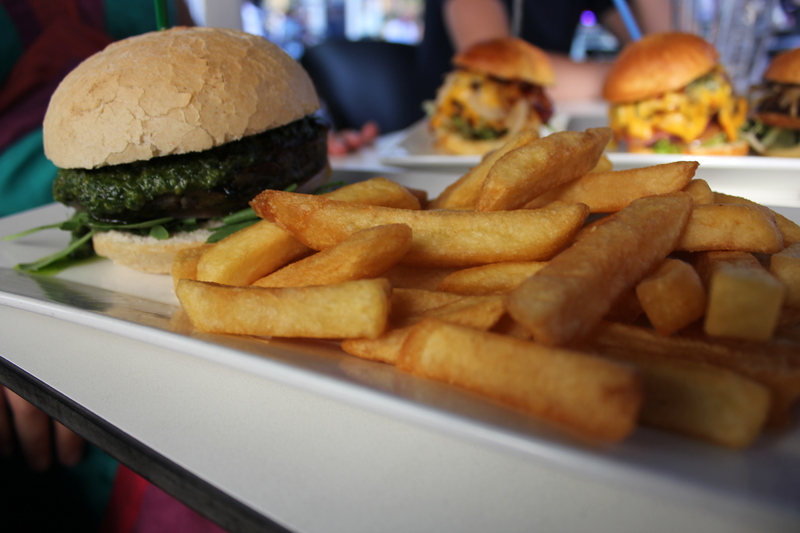 These burgers are made of beef, lamb and chicken and are called the ‘Small Bite, Big Taste’. Don’t they just look sooooooo gooooood?! Previous The 8 fictional TV-Show characters you want to be your Summerlove.